I caught another overnight train from Lviv across to Kiev which was the last leg of my trip. I was pretty tired getting on the train and thought I would get a good bit of sleep under my belt. I was sharing my Kupé (four berth train compartment) with two young Ukrainian lads who wanted to sit up all night talking about England. I was only too happy to oblige even if I was a bit tired when I got to Kiev. 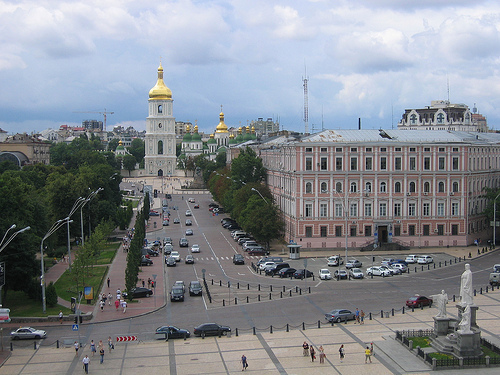 With my hostel being just off Khreshchatyk my first bit of tourist rubber necking was Maidan Nezalezhnosti (Independence Square). Even though it was Sunday this square remained pretty lively well into the evening where it was taken over by some fairly over enthusiastic salsa dancers. 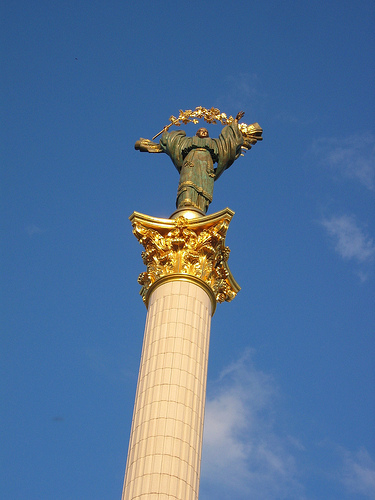 There are a number of impressive things to see in Kiev. 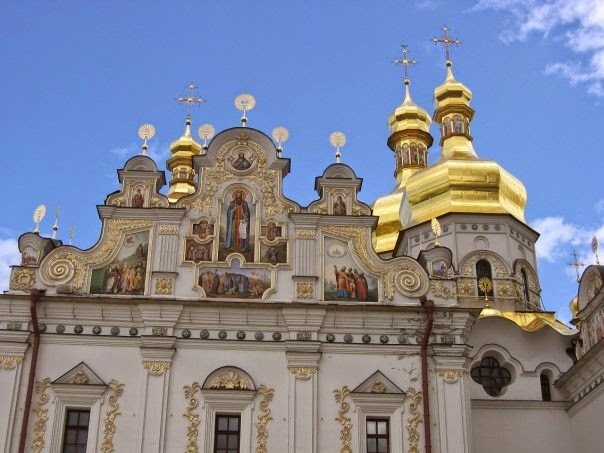 As well as St. Michael’s Golden-Domed Monastery there is also Saint Sophia Cathedral, Saint Andrew’s Church and St Volodymyr’s Cathedral. There is a holocaust memorial and a monument to the Chernobyl disaster although I got a bit mixed up by which is which. The Golden Gate (pictured above) is a reconstruction of one of the old gates to the City although there doesn’t appear to be much bling on show. 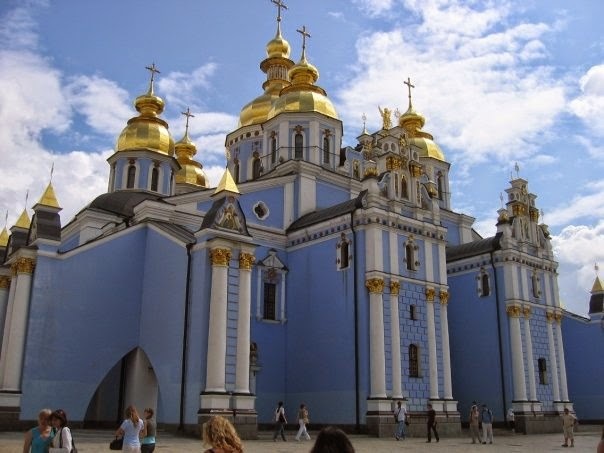 One of the undoubted highlights of any visit to Kiev is Kiev Pechersk Lavra or the Monastery of the Caves as it is sometimes known. 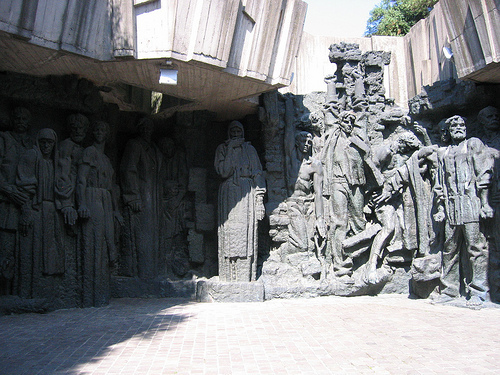 This is a large complex featuring a number of churches and other buildings as well as a series of underground caves (about 1-1½ metres wide and 2-2½ metres high) with the bodies of mummified saints preserved in caskets. These tunnels are very small and dark and the only light comes from small candles which each visitor brings with them on their visit. Another highlight for me was the Museum of the Great Patriotic War which is a large museum with a memorial complex surrounding it. 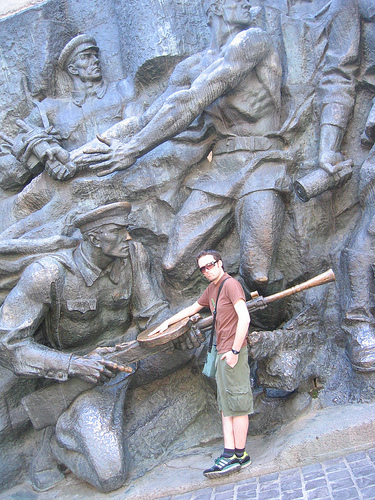 The complex has plenty of old war memorabilia – tanks and planes as well as the the classic Communist murals and sculptures which I love so much. I couldn’t take pictures within the museum itself but there was a lot of WWII related stuff ranging from defending the City from invasion right through to the Soviet victory over the Nazis. 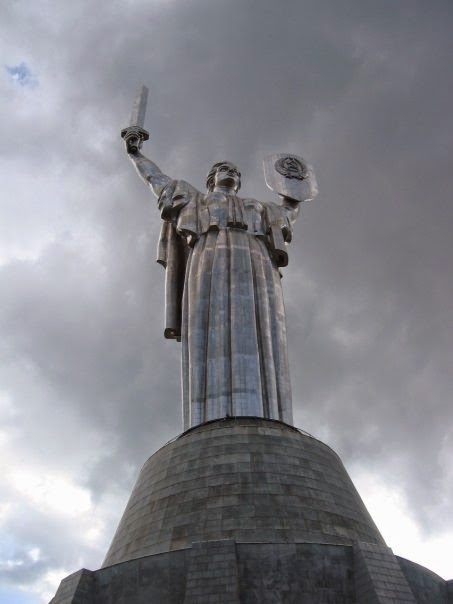 One of the highlights of the complex is the massive titanium Motherland Monument built right on top of the museum. There has been talk of messing around with this statue as it’s obviously a bit of a Communist throw back but I think that would be a bit of a shame to change it for historical reasons. The consensus seems to be that it would be a bit pricey anyway. 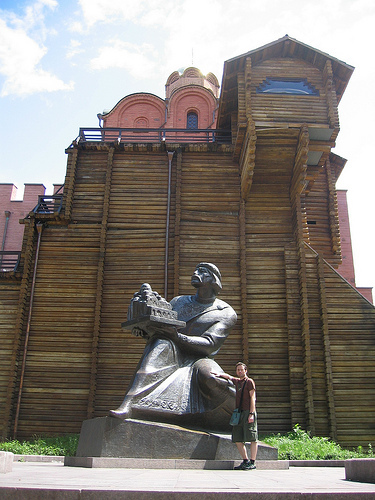 Incidentally I stayed in Kiev Lodging Hostel while I was there which was amazingly central location. However the owner was a balding Norwegian guy who spoke to the friendly, hardworking but slightly inexperienced Ukrainian staff like they were morons. He even told one girl “you’re such an imbecile” right in front of me and then turned around an grinned like I would find it funny or something. Later on she told me it was her first day on the job. Anyway, next time I’m in Kiev I won’t be staying there. 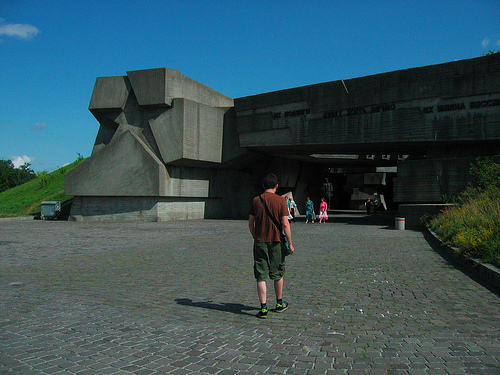 This concluded my six day trip to Poland and Ukraine where I managed to visit – Krakow, Auschwitz, Lviv and Kiev.